In 2009 Protozoic.com voted on what is now considered to be the OFFICIAL Top 10 RC Videos. Included in the list was the RC Airwolf replica video. 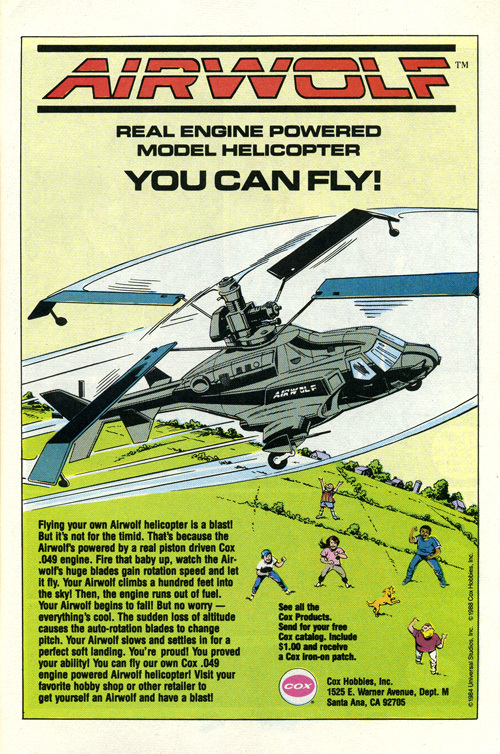 This might be the ad for the Airwolf copter, scanned from Excalibur #3, published in Dec. 1988. 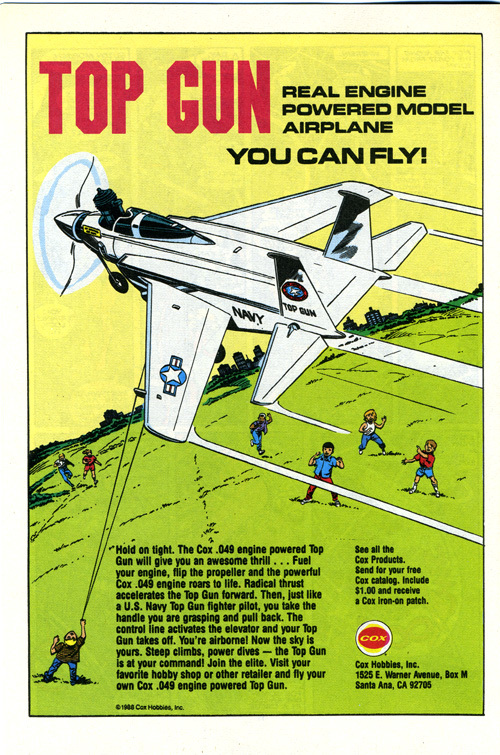 Excalibur #4, published in January of 1989, would contain an ad for the Top Gun jet.